The SmartCane, developed by the ASSISTECH Group led by Prof M. Balakrishnan, received the National Award from the Ministry of Social Justice & Empowerment under the category of "Best Applied Research/ Innovation/ Product Development Aimed at Improving the Life of Persons with Disabilities". 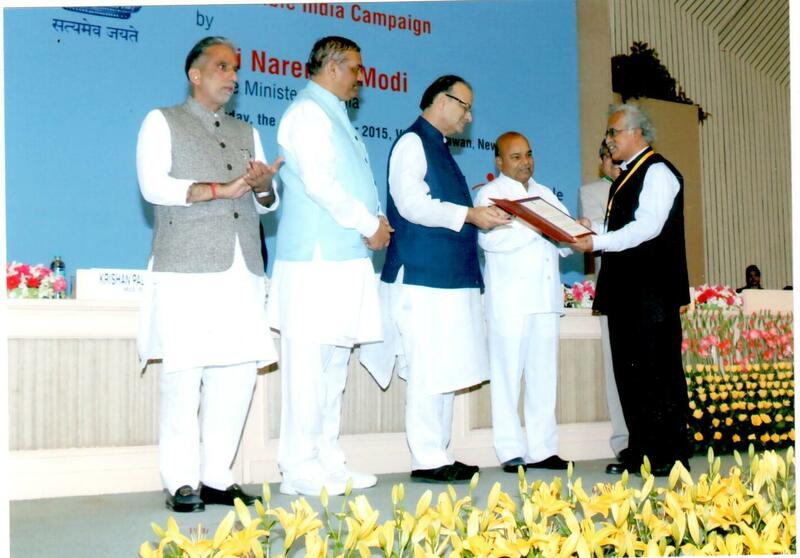 The award was presented by the Finance Minister, Shri Arun Jaitley on 3rd December 2015 at Vigyan Bhavan, New Delhi. 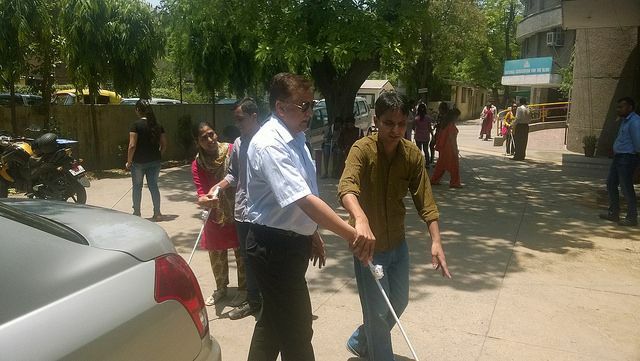 ASSISTECH is an inter-disciplinary group of faculty, research staff and students, which is engaged in using modern technology for finding affordable solutions for the visually impaired. Their focus is on mobility and education which are fundamental to enable any person to live independently and with dignity. Apart from working on specific solutions based on needs identified by the users themselves, they are creating an eco-system that helps sensitize and ignite a number of young minds towards real day-to-day challenges of the differently abled. See more at: ASSISTECH@IITD.